The garage. To make your garage show well, get rid of everything you don’t need and organize the rest. Hang your tools neatly on a pegboard, arrange paint cans on shelves and suspend holiday decorations from racks attached to the ceiling. This helps the space shout “storage solutions!” to buyers who crave them. Give the space a thorough cleaning, and you’re ready to throw open the doors and entice garage-hungry buyers. The backyard. Don’t miss the opportunity to wow buyers who want an eye-catching, outdoor living space. Clean the barbecue and set the patio table for guests. If you have a hot tub, run it and leave the top off to allow guests to picture themselves taking a long, hot soak. If you do nothing else, give your backyard a thorough cleaning. Hose down the patio, mow the lawn, rake the leaves, replace dead plants and pick up pet droppings. The closets, cupboards and drawers. If you could be a fly on the wall during an open house, you’d be amazed at the number of people who open drawers and cupboards. Sure, some of them are just being nosey, but others want to see how much space they offer. Remove as many items as possible from closets, cupboards and drawers. Invest in shoe racks to keep the closet floors clutter-free. Use drawer dividers to separate items as needed. 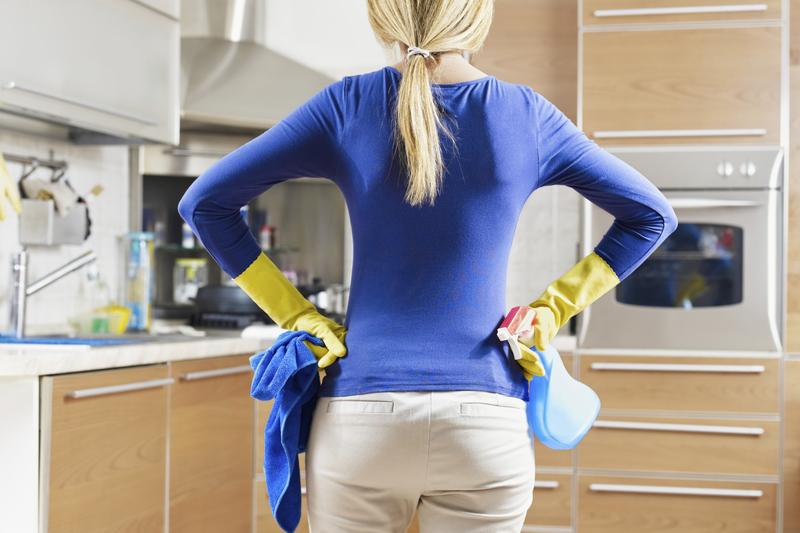 Clean your cupboard shelf surfaces, especially those in the kitchen, to remove dust and food residue. Fold linens and towels and stack them neatly in the linen closet. The appliances. Most owners shine up the fronts of their appliances before listing their homes, but they forget about the interiors. Whether appliances are included in the sale or not, folks will open them to take a peek inside. If anything inside of your refrigerator looks more like a science project than yummy leftovers, throw it away. Wipe down the walls and clean the produce bins. Come to think of it, don’t forget the top of the refrigerator, too. A lot of dust can collect up there. Give the stove and oven the same treatment, wiping off accumulated grease and baked-on food.